P. Cousin studied in 1910 meromorphic functions of two variables with triple periods and discovered a group which does not contain C or C as direct summand. 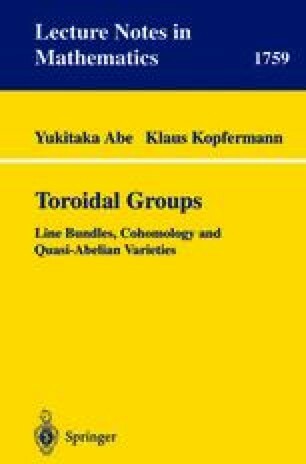 Such a group is a toroidal group. Toroidal groups X have maximal closed Stein subgroups N ≅ Cm, such that the quotient XIN is a complex torus and X a Cm-fibre bundle over XIN. The fact that such a bundle can be described by an exponential systems of an automorphic factor led to many results.